While some are drawn to the strong brushstrokes of Van Gogh’s The Starry Night, others prefer gazing at the gilded glory of Klimt’s The Kiss, but one thing is certain: people love art. In fact, each month, there are more than 500 million art-related searches on Google. Now whether you’re a casual fan or a true culture vulture, Google can help you become an art expert. Starting today, when you search for art-related things, you’ll have access to more relevant results and the ability to dive deeper into topics of interest. We’ve also added a new feature in Street View (think digital museum guide!) that gives you key insights about the artworks on your virtual museum visits. 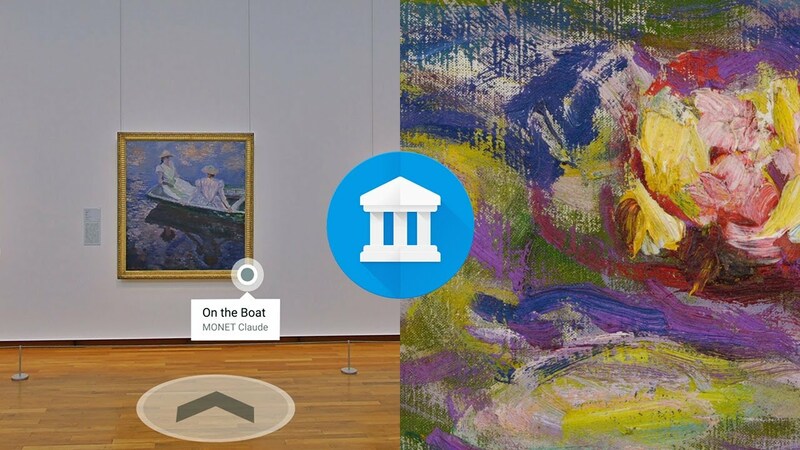 To help make your search for art a masterpiece, the Google Arts & Culture team joined forces with Google Search engineers to improve how our systems understand and recognize artworks, the places you can see them in person, the artists who made them, the materials they used, the art period they belong to and the connections among all these. You can visit hundreds of museums around the world right from your laptop with Google Maps and Google Arts & Culture. And starting today your virtual Street View tour is more informative on desktop and in the Chrome browser on mobile. Now as you walk through the rooms of the museums on Google Maps you’ll see clear and useful annotations on the wall next to each piece. Clicking on these annotations will bring you to a new page with more information provided by hundreds of the world’s renowned museums. You’ll also be able to zoom into high-resolution imagery—getting you closer to these iconic works than you ever thought possible. Discovering the art world has never been easier on Google, and we hope this inspires you to brush up on your art knowledge. So take a moment. Dive in. Who knows—with a stroke of luck, you may find yourself drawn...to art!